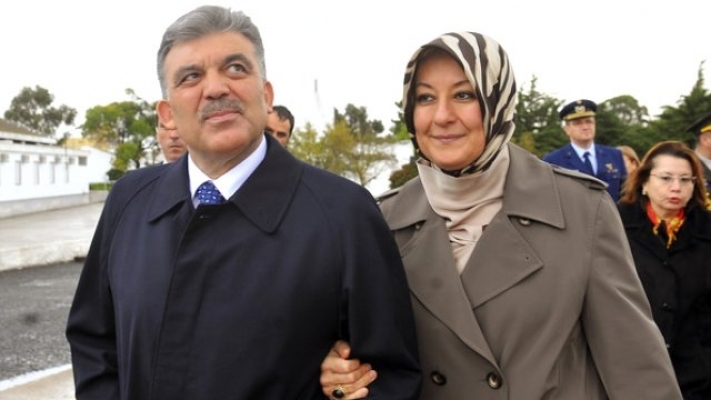 Due to a suspicious odour in Gül’s vehicle, his wife believed that there could be an ‘assassination attempt’ against her husband who served as the 11th Turkish president from 2007 to 2014. In the article penned by Atilla, it was reported that the former first lady claimed that every time Mr Abdullah got out of the car, he looked drunk. She said that her husband felt discomfort in his official car, which was provided by the Turkish state, and that there was an unusual odour in the car. “A toxic gas is released into the car when the car starts to move. Somebody may possibly want to kill my husband,” she allegedly said. It was also claimed that his wife had the car disinfected after which the vehicle was taken to a service station to be checked. The exhaust was apparently replaced, and the air-conditioner was found to be faulty. “In the meantime, the bill which was paid by Abdullah Gül was sent to the general secretary of the presidency to be paid back, but the Secretariat responded by stating that they could not pay the bill since it was repaired in an auto body shop that had no agreement with the secretarial body…. If you ask about the latest situation of Abdullah Gül’s car……. the gas, which was thought to be toxic gas nearly disappeared!” claimed Atilla. However, Atilla’s article was subsequently removed from Milliyet’s official website. Abdullah Gül, the former Turkish prime minister and president who stepped aside from both positions to allow Recep Tayyip Erdogan to fill them, is being asked to step aside again. Gül voiced unease over the government’s policies before, but it was only when he condemned a presidential decree that Erdoğan began firing back. The controversial decree grants immunity to civilians who tried to stop the attempted coup in July 2016, and any ‘acts of terror’ in its aftermath. The legal definition of terrorism in Turkey is broad, and opponents have warned that the decree encourages vigilantism and violence. Abdullah Gülis a Turkish politician who was born on October 29, 1950, in Kayseri, Turkey, and who served as prime minister from 2002 to 2003, and as president of Turkey from 2007 to 2014. In 2014, with his seven-year term as president coming to an end, Gül announced that he would not stand for a second term. He instead returned to the AKP, having previously severed his formal ties to the party as a requirement of serving as president when the pressure was put on him to step aside for Erdoğan to become president.